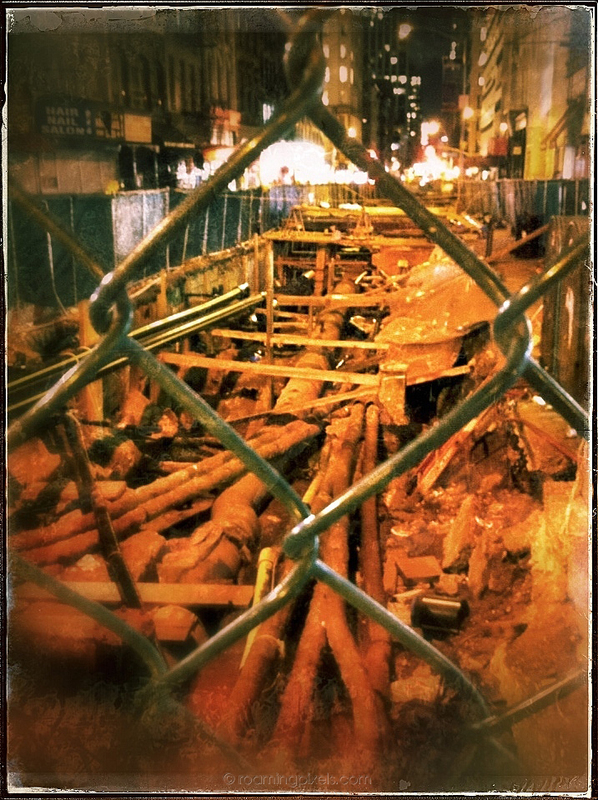 I came across this construction site and liked the voyeuristic viewpoint through the fence. 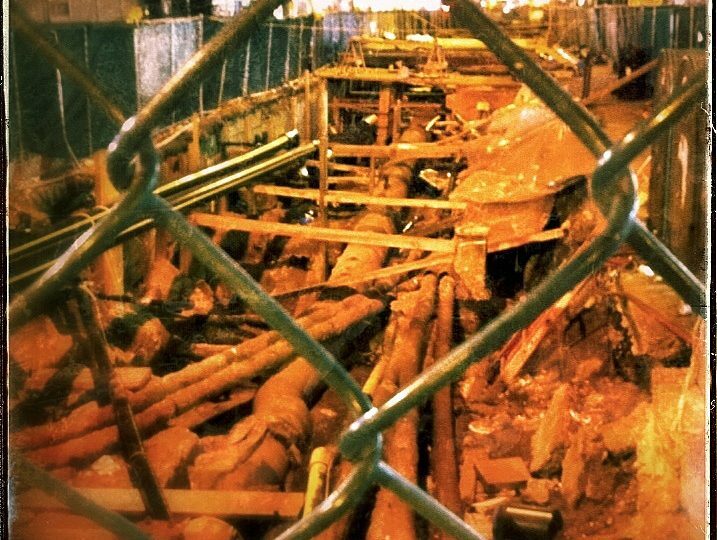 As a New Yorker, we’re always aware of the “danger that lurks beneath”: Broken water mains, leaky gas lines, etc. This is another iPhone shot edited with Nik Software’s snapseed. I just learned that Google bought Nik, and while the iOS and Android versions of snapseed are still available for download, the desktop version has been pulled and will no longer be supported. Too bad, I like the simplicity of the interface and the fast results you can get with it. Nice to have you back with a post… and I really like the toning in this shot. Will check-out Snapseed.